* A license (sold seperately) is required to access exFAT devices. Surveillance Station includes 8 free camera channel licenses. 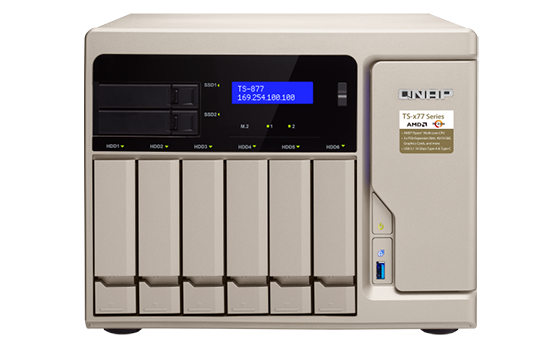 Download the QNAP TS-x77 Series Datasheet (PDF).